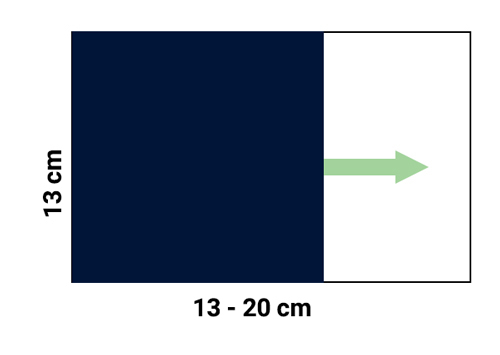 What is an aspect ratio or a length-to width ratio? 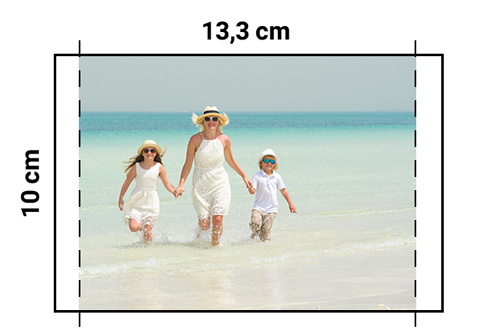 The aspect ratio (or length-to-width ratio) of a photo is the relationship between the length and width of your image. The two most common aspect ratios in photography are 3:2 and 4:3. The number before the colon represents the length of the image and the number after is the width. Both numbers represent a proportion and not a specific measurement as you can see in the images below. 3:2 is the traditional print aspect ratio. It is generally produced by analogue photo cameras. 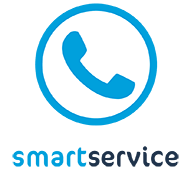 It is this length-to-width ratio which typically results in the 10 x 15 cm print size. 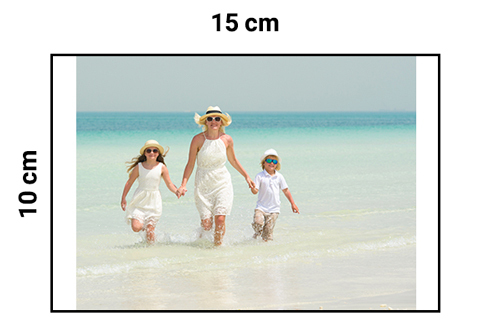 In digital photography the used aspect ratio differs between the different types of cameras. The default setting for a Compact Digital Camera is 4:3. 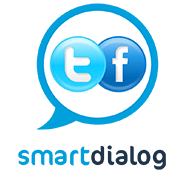 On the other hand, Digital Single-Lens Reflex cameras (DSLR) usually have the 3:2 aspect ratio as their default setting. Nowadays, you can often change the aspect ratio setting of your digital camera. 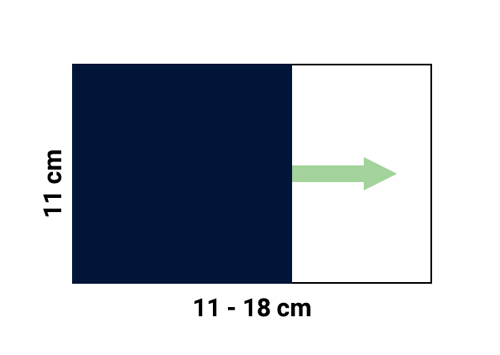 If you want to change this length-to-width ratio of your camera, please check its user guide. There are of course other aspect ratios, but they are less common. 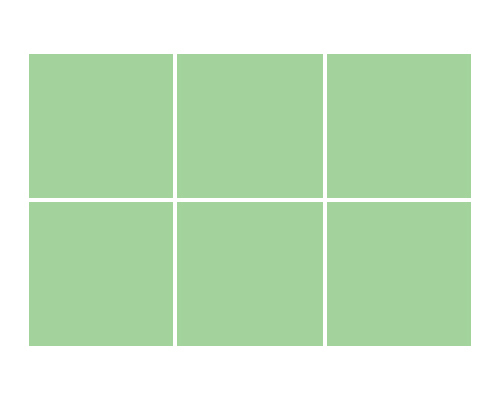 Some examples of other aspect ratios are 5:4, and 1:1 (a square image). What is the difference between Supreme Photo Print or Poster and Supreme Flex Photo Print or Poster? While it may not seem all that important what aspect ratio your camera produces, it can have an impact on your digital photo prints or posters. When you choose a Supreme Photo Print or Poster your photo will be printed in a fixed length-to-width ratio of 3:2, independent from the aspect ratio produced by your camera. + : You will receive all your prints in the same standard size without you having to worry about aspect ratios. - : You might lose part of your photo or poster. Example: You choose a 10 x 15 Supreme Photo Print format. When your original photo has an aspect ratio of 4:3, your photo will be reframed to fit the fixed aspect ratio of 3:2. You will receive a print with a size of 10 x 15 cm. 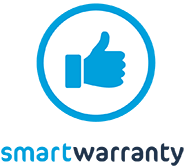 When you choose a Supreme Flex Photo Print or Poster your photo will be printed according to the original aspect ratio of your photo. + : You won't lose a part of your original photo and the initial composition of your photo is respected. 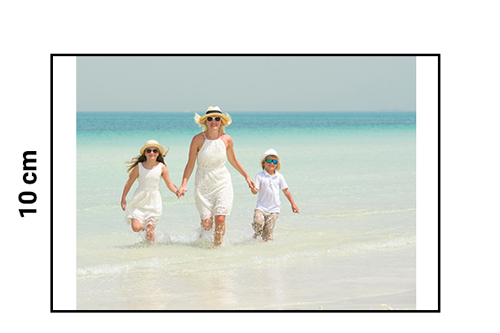 - : The longest size of the photo print might vary between the different prints you order. Example: You chose a Size 10 Supreme Flex Photo Print format. When your original photo has an aspect ratio of 4:3, the shortest side of the photo is fixed to 10 cm and the longest side of the photo varies according to the aspect ratio of the original photo. 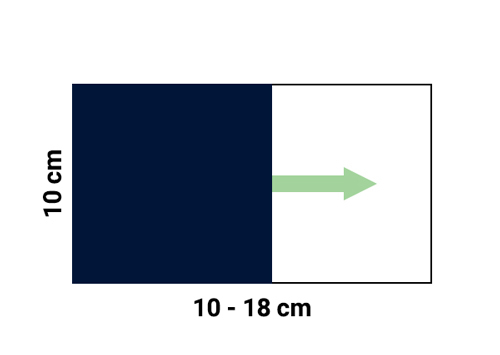 In this case you will receive a photo that is 10 cm x 13,3 cm. What is the maximum length of a Supreme Flex Photo Print? 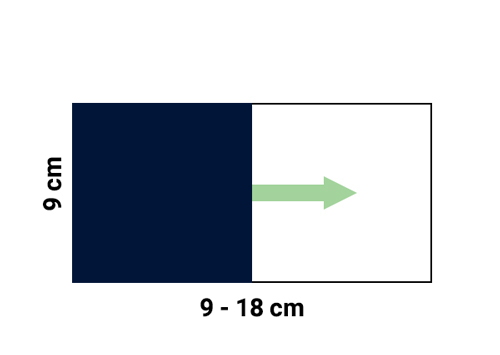 Since the beginning of analogue photography, the size of photo paper is indicated in inches. One inch is about 2,54 cm. 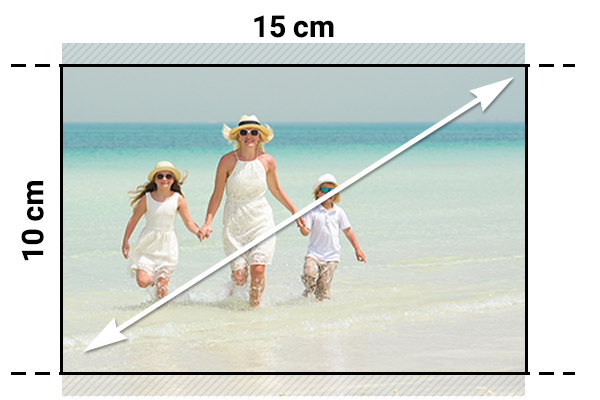 The standard photo formats used in Europe are recalculated to cm and rounded to a full centimetre. 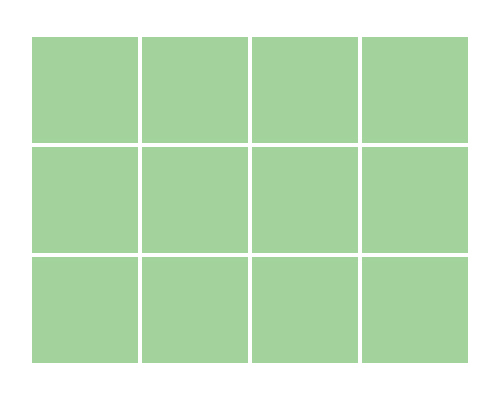 This creates small differences between the mentioned and the actual paper size. For example the sizes 9, 10, 11, 13, 20 and 30 are in fact 8,9 cm, 10,2 cm, 11,4 cm, 12,7 cm, 20,3 cm and 30,5 cm.